A 3D-printing company promising the very highest levels of service to its customers has delivered on its guarantee by securing a globally recognised business management standard. SYS Systems, part of the South Derbyshire-based Carfulan Group, has been re-certified to ISO 9001:2015. 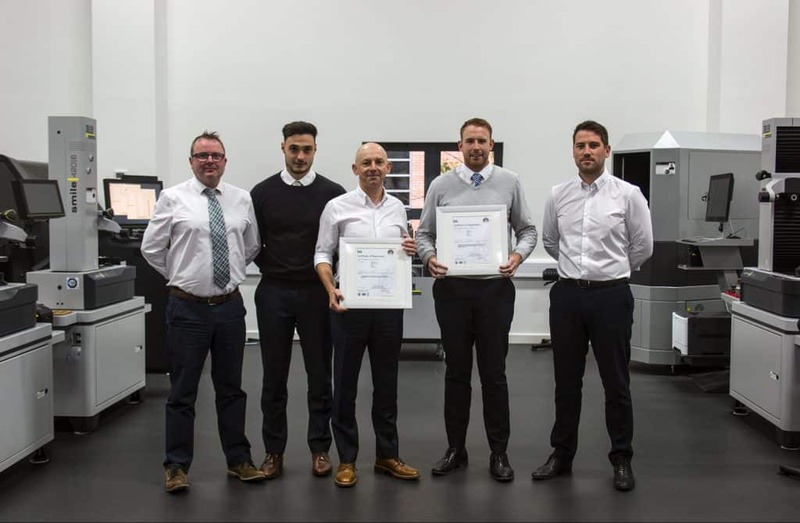 It joins OGP UK and ZOLLER UK – the other businesses in the group’s portfolio – in attaining the honour, meaning all three are now officially recognised as having a quality management system in place. The ISO certification acts as proof that a business is dedicated to providing better products and services while operating with greater efficiency. It ensures consistently high standards covering the approach to areas such as leadership, communication, planning, operations and performance, as well as how organisational risk and documented information are managed. SYS Systems, ZOLLER UK and OGP UK now sit alongside more than a million businesses worldwide which hold up ISO as a blueprint for reliability, resilience, consistent performance and continuous improvement. All those previously registered to ISO 9001:2008 must have made the transition to the more rigorous requirements of the 2015 standard by September 2018. Carfulan Group Director Chris Fulton said: “It’s ingrained into our ethos that customers are at the centre of everything we do. We’re all about helping them to make better products more efficiently so that they can fulfil their ambitions. “Having the ISO standard is official recognition of that dedication and we’re delighted that both SYS Systems and our other companies have achieved it. SYS Systems is the UK platinum partner for Stratasys, supplying its full range of 3D-printing solutions across sectors including automotive, aerospace, pharmaceutical, healthcare and education. Technology provided by the company is being used by some of the biggest names in the world when it comes to product design and manufacture. With rapid prototyping capabilities backed up by intelligent software and a vast array of material and colour options, bespoke Stratasys systems are facilitating the on-site production of ever-more realistic prototypes and end-use parts.